Well, I currently have 7. Or 8, if you include the mountain bike I bought for an ex, which now lives in the cellar, one of the only reminders that I used to share my house with someone else. Now, I firmly believe that 7 is a perfectly reasonable number of bikes. In fact, I could list numerous other bikes I would love to own, all of which are slightly different to the ones I currently own. But… I’ve had a specific hankering for something specific for quite some time. I love my cyclocross bike. I love exploring with it. I love racing it. I love my road bike, but I’d like to upgrade it. I love the pretty old Ribble that is propped up, looking sorry for itself at the back of the “bike room”. So. I’m doing the logical thing. And selling all three (plus the ex’s, she’d want it that way…). And using the funds to spec up my dream CX bike. It will be light. It will have disc brakes (I’m a mountain biker at heart). It will be light, functional, and it will be ready in time for the 3 Peaks CX in September. In fact, it needs to be ready in time for me to use it to train! 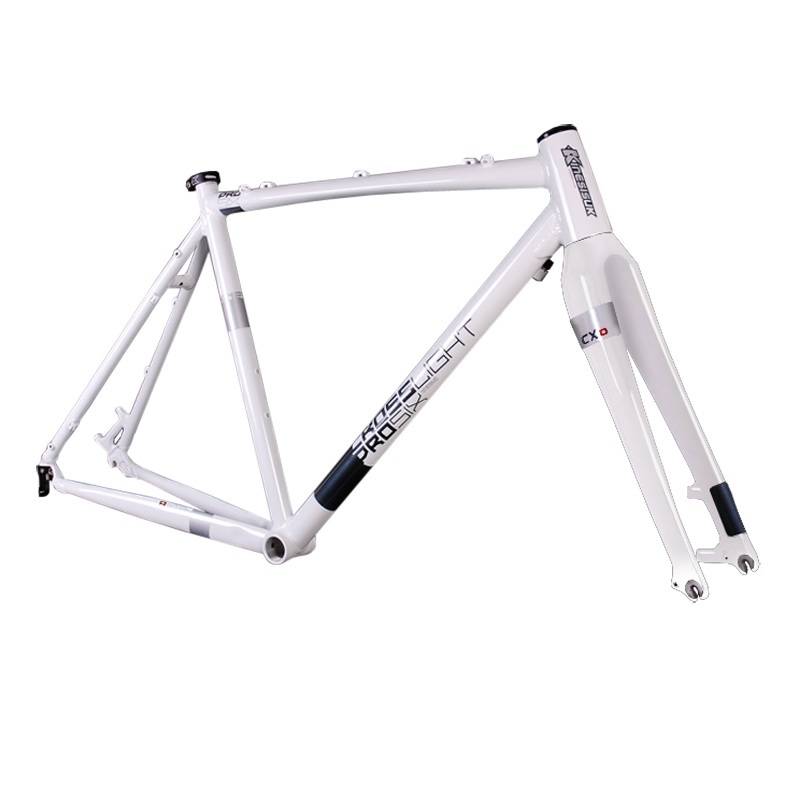 I’ve spent quite a while mulling over what bike/frame to go for. Despite the relaxation in UCI rules, allowing discs on cyclocross bikes for racing, there are relatively few options in the UK. I narrowed my decision down to two. The On One Dirty Disco, and the Kinesis Pro 6 frame. Garage Bikes have access to Kinesis, so it rapidly turned into a no brainer. I’ve heard nothing but good things about the company. And, while buying the frame and speccing it up may work out slightly more expensive, I will be able to make some personal choices about kit, to suit me. It’ll be strange being without a road bike for a while, but I’m sure I’ll find that next n+1 once my bank account recovers from this purchase.